These basketball movies on Netflix are great to watch during March Madness, basketball season, or any time of year. These Netflix titles feature movies, documentaries, behind-the-scenes footage, and more. The NBA regular season begins in October. The NBA All-Star Game is played in February of the following year. The regular season ends in April. Then, the playoffs begin mid-April and will end with the last game of the NBA Finals. In college basketball, a total of 68 teams qualify for the tournament played during March and April. Thirty-two teams earn automatic bids as their respective conference champions. What better way to celebrate March Madness than by binge-watching Netflix? All these Basketball movies on Netflix listed are current, but that is subject to change without notice. 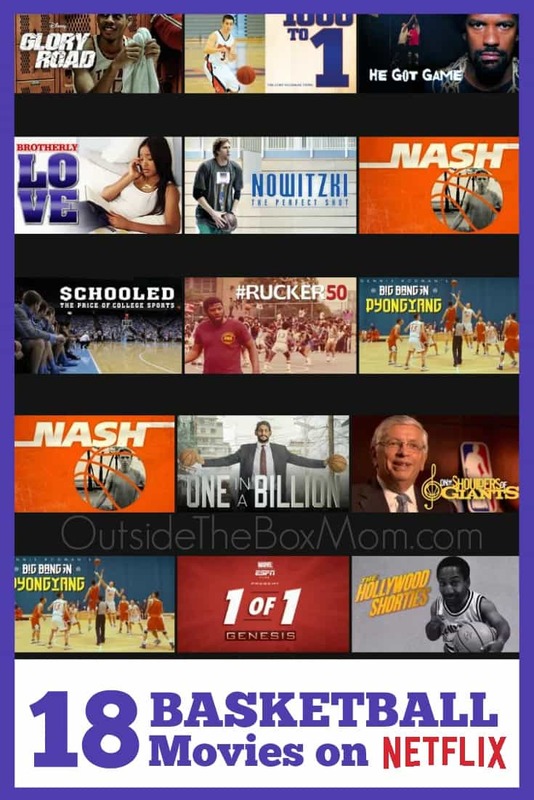 If you are looking for more movies like He Got Game about Jesus Shuttlesworth or The Real MVP: The Wanda Durant Story (the inspiring true story of NBA great Kevin Durant’s mother Wanda), check out these basketball movies.